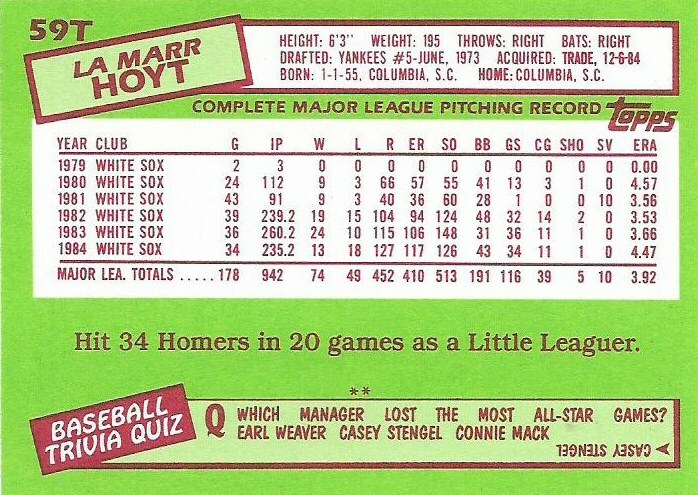 What a card: LaMarr Hoyt traveled from the White Sox to the Padres in a Dec. 6, 1984 trade that sent Ozzie Guillen, Luis Salazar, Tim Lollar and Bill Long to the White Sox. How'd that go: Great for the first year. Coming off an 18-loss season, Hoyt went 16-8 for the Padres in 1985, started the All-Star Game and was named MVP of the game. 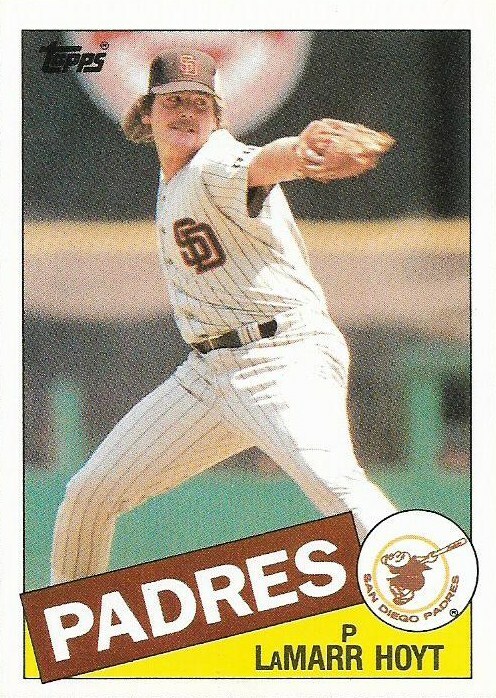 But he was out of the majors by 1987. 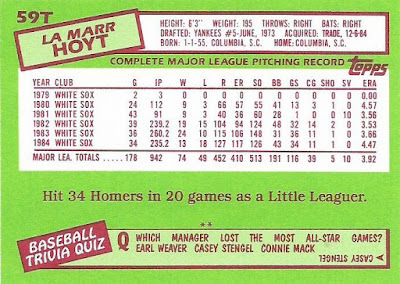 Backatya: Small sample-size but that's nearly two home runs a game! Back-to-back: Hoyt got to wear two of the most distinctive mid-1980s uniforms in Major League Baseball. Can't say I liked either of them. 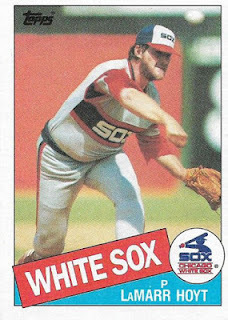 The flagship card is No. 520 in the set and was originally blogged on April 6, 2016. The blog wants to speak now: The News category is updated.